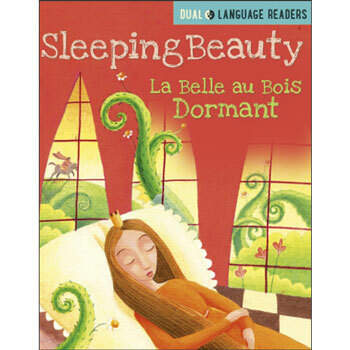 Sleeping Beauty: La Belle Au Bois Dormant is a simple French - English dual Language retelling of the classic fairy tale, Sleeping Beauty, accompanied by beautiful colour artwork. 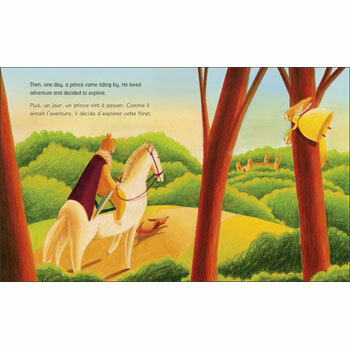 The picture book design supports simple, accessible text with just a few lines of text on each page. The story is told in around 400 words and the parallel French and English text is differentiated by use of different fonts for each language. Extra features include activities at the back of the book, to test comprehension of the story. Sleeping Beauty: La Belle Au Bois Dormant would suit either a native French child with English as an additional language, or would be good for young children learning French. It is aimed at ages 5 - 9.